So, what was the motivation behind this huge career change for the former military pair? “Throughout our years in the Army, we’d continually invested in property and had built up a successful portfolio across the South West of England. We’d always struggled to find an estate and lettings agent that we really trusted and who delivered the quality of customer service that we expected, something which was particularly important for us due to the long periods we’d spend away from home on deployment. We’d both always wanted to be our own boss, and with our previous experience of the property industry and those within it, estate agency was the natural progression into this." It was our shared ambition to not only own a business, but to be the kind of agent that we’d always looked for – and never found. Launching the business on that Spring morning with not one single property or landlord on our books was certainly a little unnerving, with perhaps our greatest fear being that we’d open the doors to complete tumbleweed! And stood out they did. But, how? And the road to success was just beginning. In the same year, the couple completed on one of the network’s biggest ever single office acquisitions when they acquired Plymouth’s largest and most longstanding independent lettings agents, with a history spanning more than half a century. Ever since we launched, we had expansion in our sights and when an opportunity arose to purchase one of the city’s most established agents, we absolutely jumped at it! And the facts speak for themselves. Not only was it an unprecedented move, with a relative newcomer to both the industry and the local area acquiring one of Plymouth’s largest and most established lettings agents, but the scale of growth has been phenomenal. 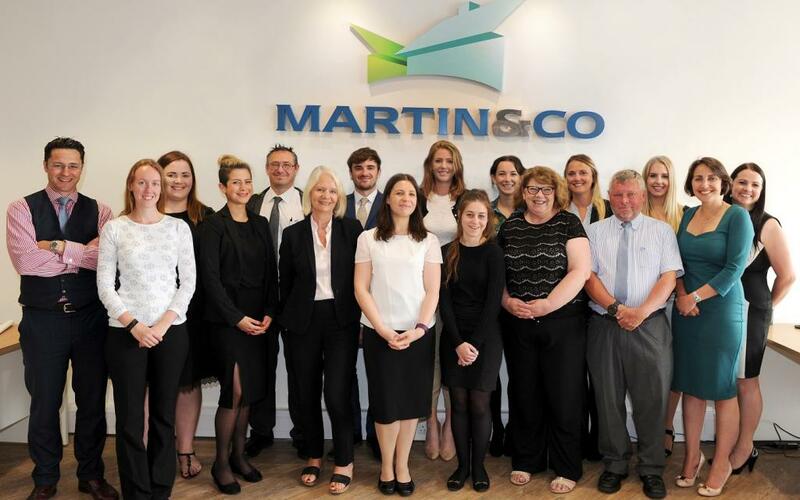 The couple’s purchase of Executive Lets saw it re-branded as Martin & Co and incorporated fully into the agency’s existing operation, resulting in the number of properties under management quadruple and it’s team grow more than three-fold. Despite consolidating the largest and fastest growing agents in the city, we still view this as only the very start of our journey and are confident that in continuing to meet the needs of local landlords, homebuyers, and sellers, we’ve placed ourselves in the very strongest position for future growth and expansion. “We would never have got to where we are now if it wasn’t for those around us supporting our every step, and guiding us in the right direction. The support of other Martin & Co franchisees across the whole network has been – and remains – invaluable. Everyone is in exactly the same boat and we have benefited hugely from the continual sharing of ideas and experiences along our entire journey to date. The encouragement, acknowledgement, and inspiration we receive from our peers has been instrumental to our success. So, what’s the long term plan for the couple? If you'd like to follow in Chris & Meroyln's footsteps and run your own successful estate agency we'd love to hear from you!